Maria Domínguez began her artistic career as a muralist with CityArts Organization in New York City in 1982. 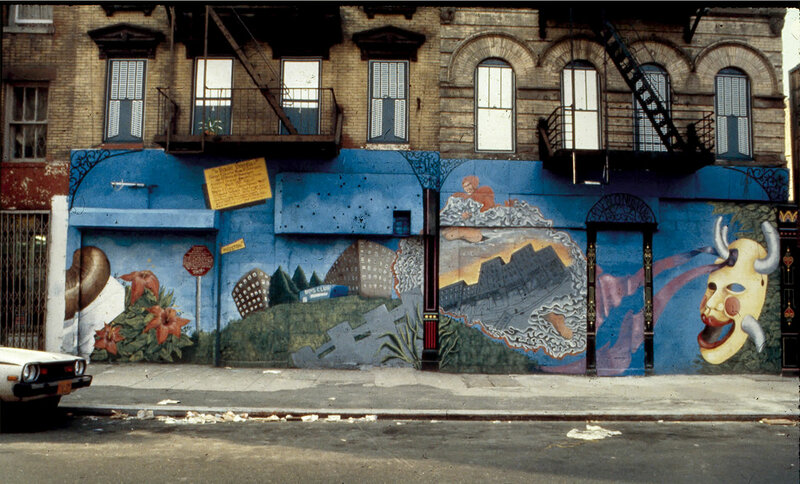 For over 32 years Domínguez has dedicated a significant part of her artistic work to public art and community murals. In 2009, Dr. Raquel M. Ortiz-Rodriguez surveyed the Puerto Rican transnational collective identity of jibarismo in her dissertation “El Arte y La Identidad” (El jibarismo en la Diaspora: a [des] montar la guagua, Chapter 5) where she focuses on identity formation and community murals in New York City by studying murals created and directed by Domínguez. 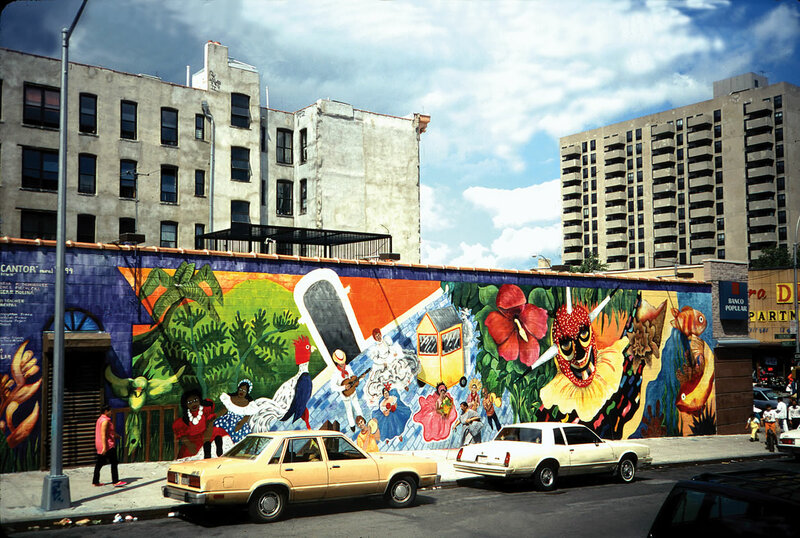 Six of these murals “La Lucha Continua (Sueño)”, “Fantasy Trip to the Future”,"Baile Bomba (2 walls),“To Our Homestead”, “Nuestro Barrio”, “El Pueblo Cantor” were selected for a traveling exhibit with an award from the Historical Preservation and Research Partnership funded through The Center for Puerto Rican Studies at Hunter College in New York City. 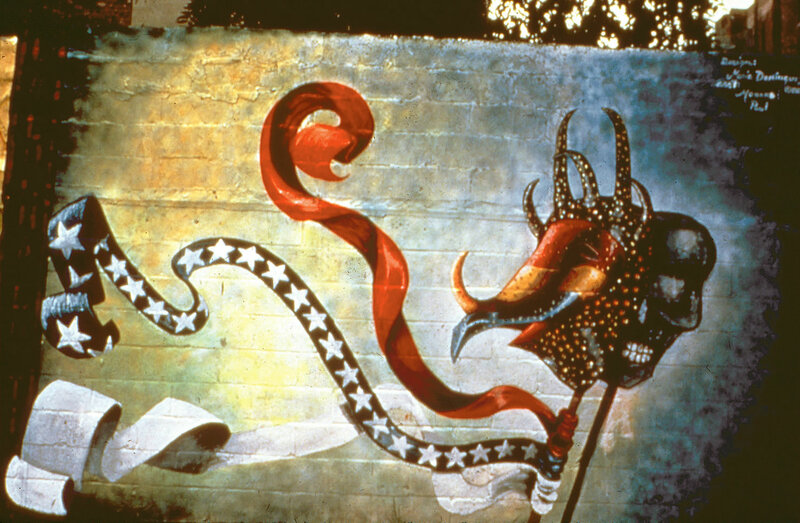 To celebrate Latino Diaspora public art and public expressions of identity, two exhibits and various associated programs were created; one exhibit at Lorain County Community College’s (LCCC) in Lorain, Ohio the other exhibit at Beth K. Stocker Art Gallery. 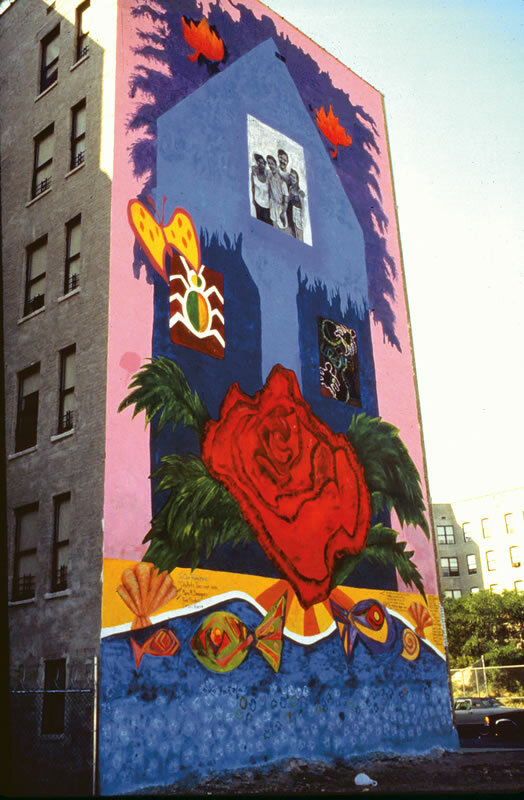 Additionally, The Annual Hispanic Leadership Conference, held in the Spitzer Conference auditorium at LCCC, hosted an exhibition that included Domínguez’ Maquettes of the featured murals from this project. Community members, particularly those from Lorain County’s Hispanic / Latino community were invited to celebrate at the openings of these events. Also, in conjunction with the exhibitions, Dr. Ortiz-Rodriguez conducted workshops for the English Language Learners students of Lorain Southview High School, where together they explored public art, history and identity of the Puerto Rican community in Lorain, Ohio. 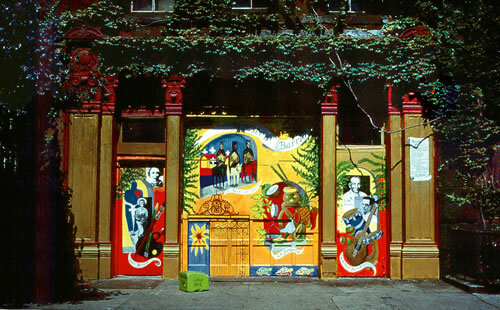 In 2009 the exhibition returned to NYC and the Center for Puerto Rican Studies at Hunter College, and in 2011 the exhibition travelled to Boricua College in Brooklyn, NY and Bronx Library Center in Bronx, NY. The Puffin foundation awarded Dominguez a grant to create a catalogue documenting these murals and the exhibit.